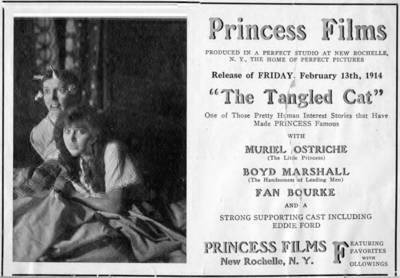 Advertisement for Princess Films release of "The Tangled Cat," February 13, 1914. The cast included Muriel Ostriche, Boyd Marshall, and Fan Bourke. Offset prints; 5" x 7"